In layman’s terms it means creating an Organic Certified Standard which appeals to a local community, but also confirms to the PGS-SA and IFOAM standards as a minimum. These standards are used by Local Farmers to grow organic food and supply Local Consumers with said organic food. It all rests on the premise of a social contract which relies heavily on participation by all stakeholders in the community to guarantee the standards are followed and upheld. This creates an auditable Organic Local Food System underwritten by certification that can use the PGS ENDORSED: SAOSO ORGANIC LOGO. WHY WOULD WE WANT/NEED A PGS? It is transparent, open to public scrutiny and peer-driven. It is extremely cost effective. The administration and “red tape” is streamlined and simplified to suit small-scale producers. Because all growers are part of the process, the PGS also becomes a support and “skills transference” system, where growers and public can share information, offer advice, and identify customer needs. 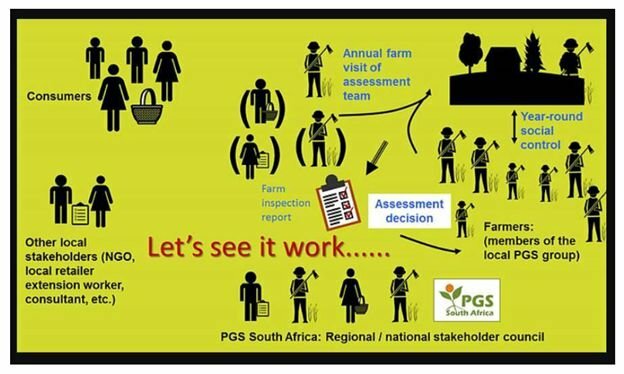 One very important thing to note is that a PGS is essentially an assurance system for local markets, in our case the Greater Langeberg Municipality as a maximum. It cannot, and should not be expected to serve as an assurance system for national or international organic trade. Third-party certification is still the most effective way to deal with participation in long-value chain markets. The initial ground work and structures have been put in place during the latter part of 2018, with the assitance of and a workshop led by PGS-SA. Currently the participants are undergoing their first round of auditing to establish a baseline from where the PGS will move forward. The hope is to have all participants up to speed early in 2019 where after we will start using the PGS Endorsed logo. 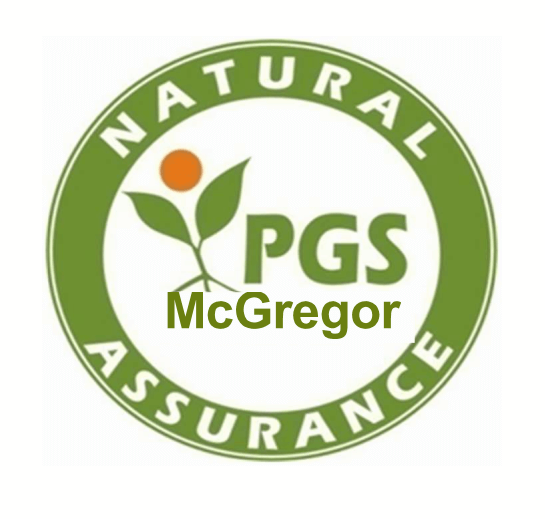 So be on the lookout for organic local produce bearing the PGS logo from 2019 onwards.